Arroyo Valley vs. Carter, 1 p.m.
Kaiser vs. Fontana, 4 p.m.
Yucaipa vs. Miller, 7 p.m.
Citrus Valley vs. Jurupa Hills, 1 p.m.
Redlands vs. Eisenhower, 4 p.m.
Rialto vs. San Gorgonio, 7 p.m.
Arrowhead Christian vs. Colony, 1 p.m.
Tahquitz vs. San Jacinto, 4 p.m.
Colton vs. Bloomington, 7 p.m.
Hemet vs. Beaumont, 1 p.m.
Redlands East Valley vs. Eisenhower, 4 p.m.
Cajon vs. Yucaipa, 7 p.m.
Do these look like the offensive numbers of a player who projects as a pitcher when he graduates high school? A .455 batting average, 41 RBIs, three home runs and 28 runs scored in 28 games. Only when they’re sitting next to these: 9-0 record, 0.95 ERA, six complete games, 114 strikeouts and 12 walks in 73 2/3 innings. All of Kaiser junior Chris Mathewson’s talents were on display while leading the Cats to a Sunkist League championship and the No. 2 seed in the CIF-SS Division 4 playoffs. The Long Beach State-committed pitcher will only spoil the Inland Valley for one more year before becoming a full-time pitcher. 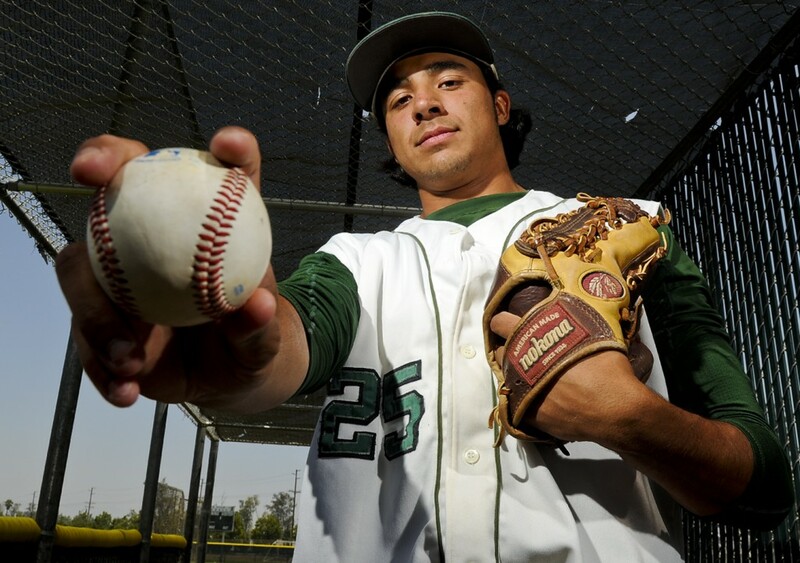 There were no Inland Valley baseball players drafted on Day 1 of the MLB first-year player draft. But Day 2 saw three: Los Osos LHP Chris Kohler (third round supplemental, No. 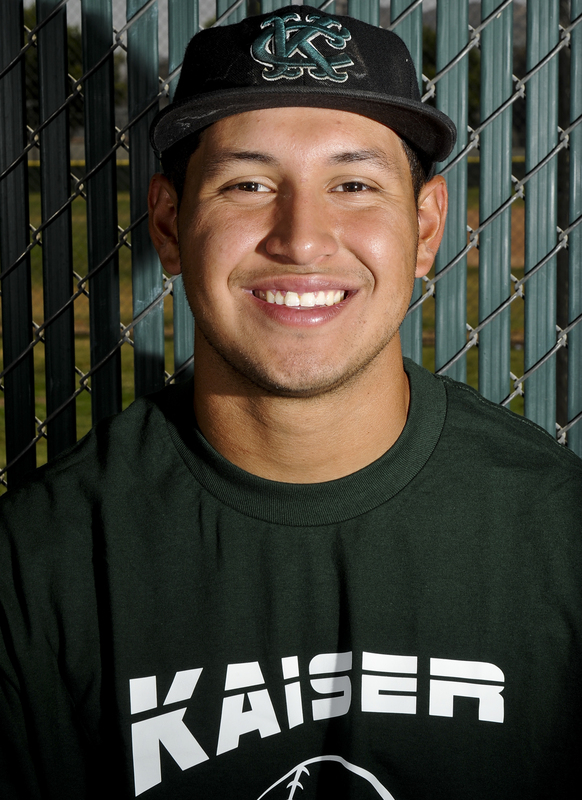 106), Oakland A’s; Upland HS/Pepperdine RHP Scott Frazier (6th round, 168), Chicago Cubs; Diamond Bar HS/Riverside City College Kenny Mathews (7th round, 201), Cleveland Indians. For Kohler, he was drafted by an organization he said he knew was very interested. He also had someone to talk to about that organization. Diamond Bar wasn’t alone. 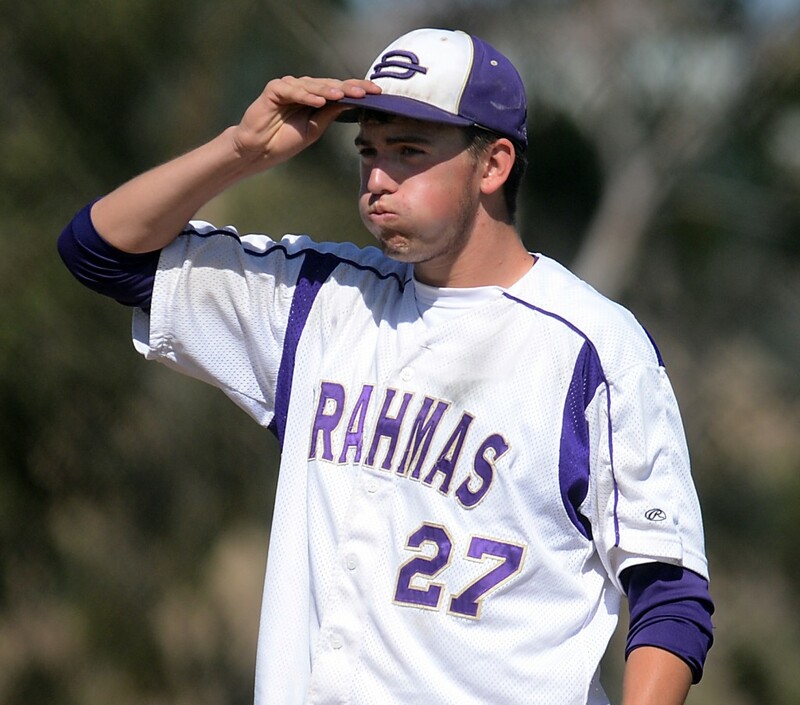 The Brahmas suffered the fate of the other two local baseball teams in Tuesday’s CIF-SS semifinals, falling a game short of playing for a championship. After Diamond Bar couldn’t convert a third-inning leadoff triple into a run, it was all downhill in a 10-2 loss to second-seeded Gardena Serra. Though San Dimas avoided an Oaks Christian ace expected to be a first-round draft pick, the Saints fell to the No. 1 seed, 3-0. Division 2 No. 3 seed Los Osos went down in heartbreaking fashion, falling victim to a two-out single in the final inning of a 3-2 loss to second-seeded Temecula Valley. Ontario Christian, the final local baseball team standing, will play its Division 5 semifinal today after the game was delayed due to Oak Hills’ graduation. 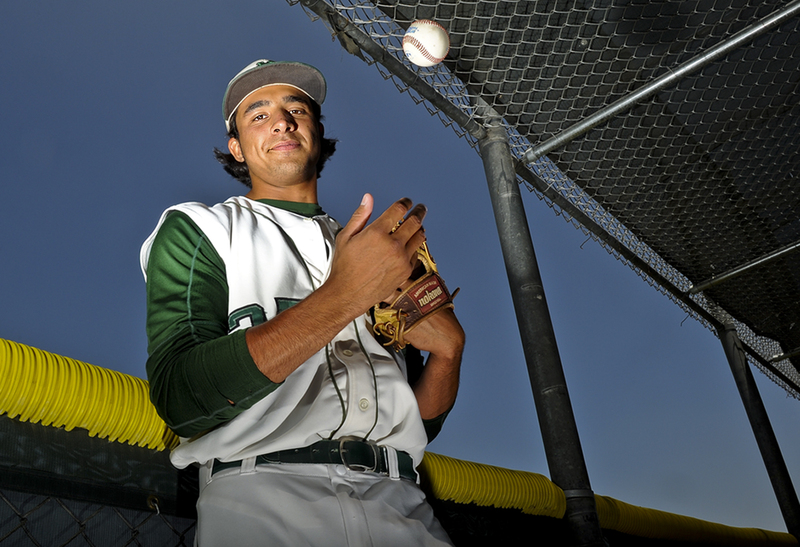 For all CIF-SS baseball semifinal scores, click the link below. 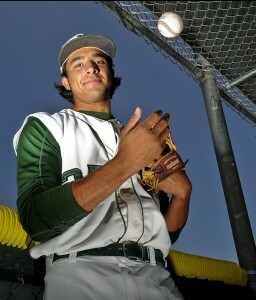 The Bonita and Los Osos baseball teams can sleep soundly after league championship-clinching wins on Wednesday. Had either of them lost, they would be facing the prospect of losing a wire-to-wire lead in their respective leagues on the final day of the regular season. Los Osos’ Chris Kohler may be the exception who can’t doze off immediately tonight. The senior is likely still winding down from throwing his first career no-hitter, not to mention breaking the school’s single-season strikeout record. The Grizzlies’ 9-0 win over second-place Glendora gives Los Osos its first Baseline League championship in six years and makes Friday’s matchup between the two teams meaningless. Second baseman Chris Riley has to be mentioned as much for his 3-for-3, two-RBI, two-run performance at the plate as his no-hitter-saving play in the field with one out in the final inning.